Lemongrass have amazing health benefits and medicinal uses. I have always had a fondness for lemongrass, it is hard not to fall in love with the fresh uplifting smell of lemongrass. Lemongrass is mainly used in Thai cuisine and here in India lemongrass is not used in cooking except for making teas and even that is not common. The lemongrass essential oil distilled from the leaves is also used for treating many ailments and is easily available everywhere. In my family many are forest and bird lovers, while others are busy looking for animals and birds during a trek, I will be usually busy looking for new herbs. I took the above picture the last time we went on a trek into the forest. Here in India we don’t get fresh lemongrass roots in the markets, if you are keen on getting fresh lemongrass you need to visit a local forest. If you can get a single shoot you can easily plant and propagate it in your garden. I prefer fresher roots but using dried lemongrass is fine too. You can also buy the lemongrass essential oil from herb shops. Lemongrass belongs to the grass family, it has long thin aromatic leaves. It’s botanical name is Cymbopogon Citratus. 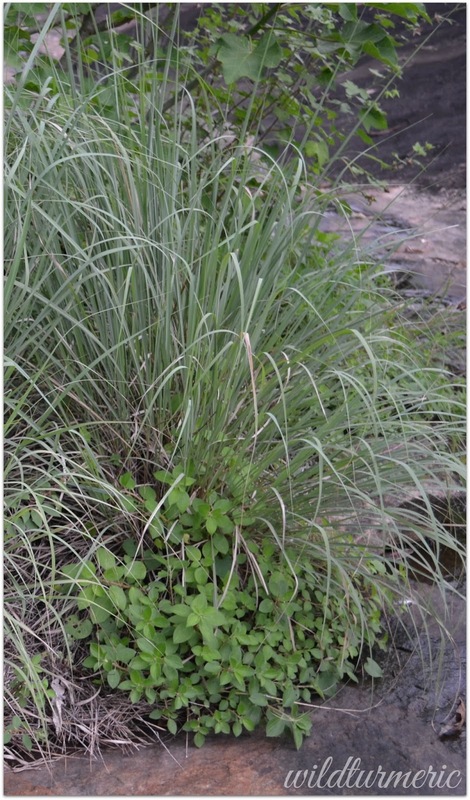 Lemongrass is called Gandhatrina in Hindi, Elumichai Pul in Tamil, Nimma Gadi in Telugu and Nimbe Hullu in Kannada. Lemongrass has anti bacterial, anti fungal, astringent, anti inflammatory, anti cancer and pain suppressant properties which makes it very effective in home remedies. Lemongrass can be used as a remedy at home for mild fevers, indigestion, cold, flu and to improve our mood. You can also make an infusion of roots with a carrier oil at home for using it externally like a massage oil. Lemongrass also is rich in vitamins and minerals like Vitamin A, many of the B vitamins, Vitamin C along with minerals like magnesium, copper, zinc, etc. Though lemongrass is said to boost milk in breast feeding women, I couldn’t find convincing evidence that it is 100 % safe for pregnant and breast feeding mothers so please practice caution unless you are very sure that it is safe. Never use lemongrass essential oil directly on the skin, always use it mixed with a carrier oil. Lemongrass can be used for skin as it has anti bacterial properties. Lemongrass makes a very effective toner as it is a good astringent. Like with all lemongrass preparations, it smells amazingly fresh and since it does not have alcohol, it does not dry out the skin too. To make the toner, first collect the fresh lemongrass and boil it in a cup of water till it reduces in half. 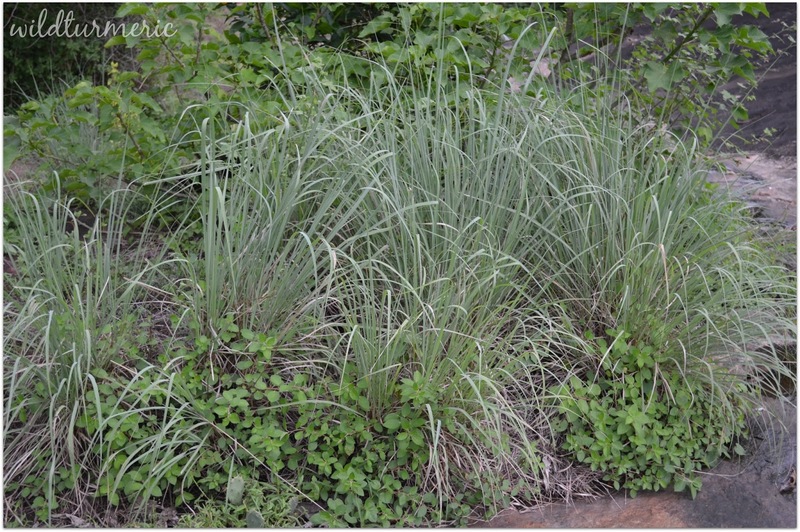 Lemongrass is very good in treating scalp infections like itchy scalp, excessive greasiness and dandruff. Since it has got antibacterial properties, including lemongrass in hair preparations is a good idea. The best way to use lemongrass for hair is by mixing few drops of pure lemongrass essential oil with an unrefined oil. This lemon grass steam is very very comforting especially done when suffering from cold, headache or chest congestion. For the steam, pound lemongrass roots along with fresh ginger root a bit coarsely in a mortar and pestle. Lemongrass is a great natural way to repel mosquitoes naturally. To ward off mosquitoes immediately, collect the fresh lemongrass leaves and crush between your fingers to release the oils and rub onto your body. The weight loss aspect of lemongrass is due to citral present in it. It boosts metabolism and aids in weight loss if combined with a good diet and exercise. Lemongrass also has been proven to reduce the LDL cholesterol in our body. The best way to consume lemongrass is by making a tea out of it. Lemongrass improves the immunity and helps to fight of infections very effectively. Since lemongrass is rich in antioxidants, regular consumption helps prevent many major diseases. Though lemongrass is said to kill the cancer cells, the study which made this belief famous was done on rats and further research on humans is needed. But lemongrass definitely helps prevent major diseases like type 2 diabetes and cancer as it is rich in antioxidants which helps prevent free radicals which in turn is the main reason for most of the diseases. Lemongrass either used externally or taken internally as a tea has a soothing effect on the nervous system. Add a few drops of lemongrass essential oil to your vaporizer and once you inhale the relaxing scent, you will readily agree with me. If you are feeling low and depressed, I highly recommend it. Also a warm cup of lemongrass tea will help one relax and prepare our mind and body for a good night’s sleep.